In the hands of the next government, there is now the possibility of reforming the Constitution through a constituent. The deadline that the National Assembly had to approve the bill that allowed adding a ballot in the May elections to consult the people whether or not the constituent won last Tuesday. The Legislative Government Commission did not consider this initiative, among other things, because its deputies blame the Executive for presenting it late. 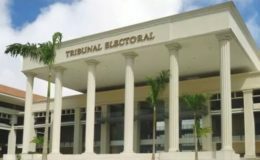 Yesterday, the presiding magistrate of the Electoral Tribunal, Heriberto Araúz , informed that it is “humanly impossible” to include the ballot. “The government that the people choose on May 5 will have the responsibility of deciding whether to call for a constitutional reform,” he said. 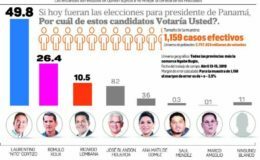 In the heat of the political tournament, the presidential candidates talk about reforms to the State, and some put the constituent as a mechanism. The independents Ricardo Lombana and Ana Matilde Gómez, as well as the Panamanianist José Blandón advocate that figure. Saúl Méndez, of the Broad Front for Democracy, proposes an original one. Laurentino Cortizo, of the Democratic Revolutionary Party; Rómulo Roux, of Cambio Democrático; and Marco Ameglio, of free postulation, have not specified on how to reform the Magna Carta. 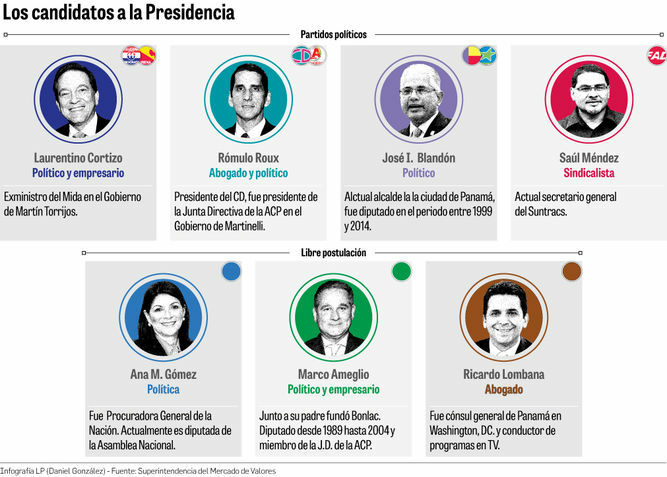 The question of whether the State needs an institutional reform seems increasingly rhetorical, despite the fact that the presidential candidates mention in different instances and before different audiences the need for a “profound reform of the State”, since they began to define the panorama politician for the elections of next May 5. For some, the reform of the Constitution is a key component of their government proposal. Others are on the sidelines and even refrain from showing a clear position on the subject. There are also those who do not consider that this is the way to solve the problems of the State. The Magna Carta, meanwhile, defines the ways to make the reforms. 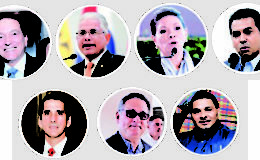 Ricardo Lombana, independent, and José I. Blandón, of the Panameñista Party, assert that a constituent process would be a priority in his government. Lombana says that his movement “believes in a constituent”, and that this is one of the pillars of his plan. He maintains that the popular consultation would legitimize the process. Blandón also considers that the constitutional change must be through a constituent assembly. On several occasions he has assured that reforms through two assemblies are not viable. “With the Assembly that we have, with the deputies that we have, there will not be that political will for those profound changes that the State requires,” he argued in the forum Vision 2019, of Tuesday Financial. To assume the Presidency, assures, in the first week it would summon a referendum so that the town decides and, of being in favor, it would follow the constituent election to him. Ana Matilde Gómez, independent, affirms that she supports “totally” the constituent. He even says that “we should not fear him”. He considers it a “participatory process that has to be inclusive” and one for which “the country is ready”. Saúl Méndez, from the Frente Amplio por la Democracia, during his speech at Visión 2019 emphasized the “original constituent assembly”. According to Méndez, it must include the sectors “excluded” from society. The candidate of the Democratic Revolutionary Party, Laurentino Nito Cortizo, has an ambiguous position on the matter.